Need more time to roll the dice? It’s generally the case that having spent the time to set up an extensive game that there’s never enough time to fight through to the bitter end… so, in an attempt to right that wrong, this weekend, the Mailed Fist Wargames Group are holding a wargaming weekend running from 11-5 on both Saturday 27th September & Sunday 28th September – please see the calendar for more details. 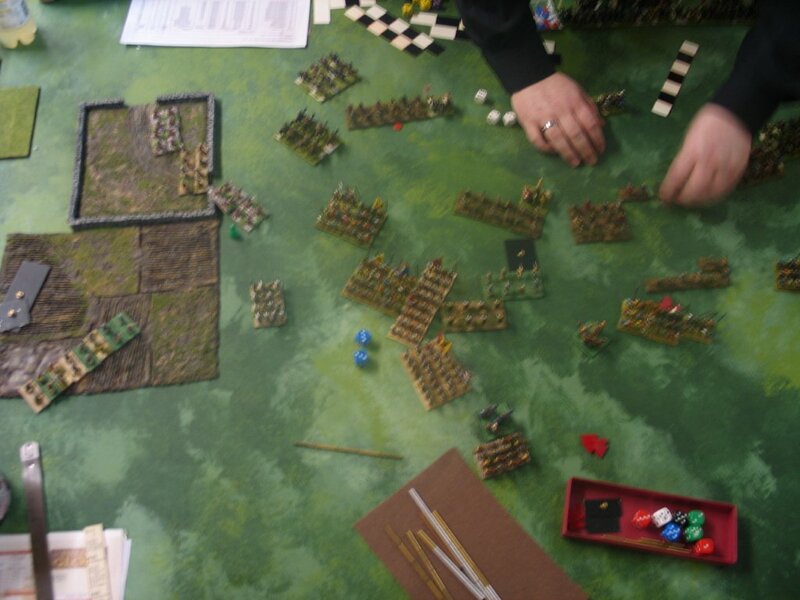 So, if you’re tired of running out of dice rolling time, why not take advantage of the opportunity and join us for a two day wargaming weekend? On Sunday, 27th October, the Mayor of Tameside Cllr Joe Kitchen, together with his colleagues Cllrs Jim Fitzpatrick and John Sullivan travelled in time when they visited the East Manchester Historical Gaming Centre in Godley. 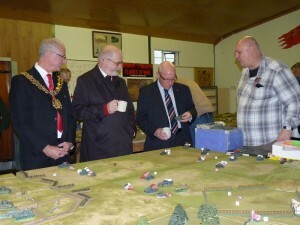 In part, the Mayor and his colleagues were there to see the work that has been put into the building since being taken over by a group of tabletop wargaming enthusiasts, but they were also there to appreciate the variety of historical wargames, talks and modelling that takes place throughout the month. The Mayor visited the building in 2009 when it was still very much a “work in progress”. Then, it was an “almost abandoned”, poorly maintained and very cold building ; it is now a well-used & maintained centre for gaming, model-making and military history – the changes that have been made reflects the very hard work, time and effort that has been put in by the small group of owners (with assistance from both Tameside College students and Community Payback) and local businesses that have supported the project. 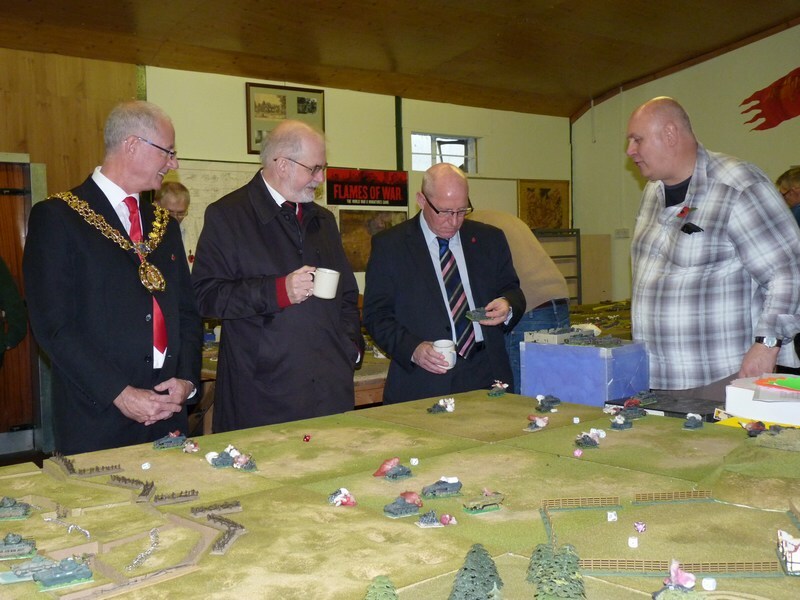 During their visit, the Mayor and his colleagues saw miniature representations from the Mailed Fist Wargames Group and the East Manchester Historical Games Society of the Battle of Leipzig (1813) where Napoleon was defeated, Dunkirk (1940) where the plucky Brits held out to rescue their guns (though losing most of their tanks in the process) and a larger scale representation (using Bolt Action Rules of “Pegasus Bridge” which started the events of D-Day (‘though on this occasion, the initial British assault had failed and a hard slog was in progress). They also saw a more “generic” Second World War game using the Flames of War rule system and had a glimpse of the future with a Warhammer game. Also present were members of the “Manchester Armoured Division” Radio Controlled tank group with their huge 1/16th scale tanks. Displays by the other groups that use the building, the National Association of Road Transport Modellers and the Manchester Military History Society were also seen. The Mayor commented that it was good to see that the building was being put to such good and regular use with such a wide diversity of hobbies all linked by their interest in history and model-making. 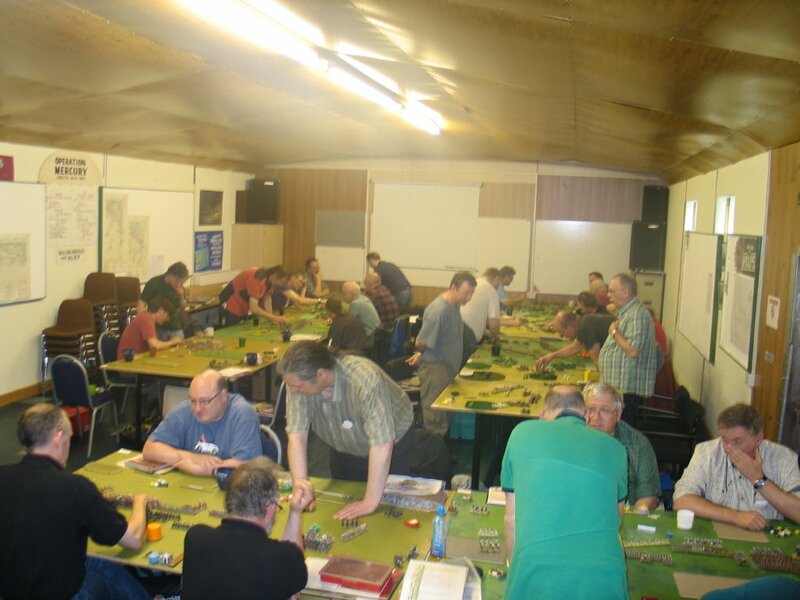 The Dark Age skirmish game ‘SAGA’ has grown massively in popularity and for first time ever it is being played at the ‘Challenge’, a competition run by the BHGS on the 5th – 7th April 2013. The SAGA event is open to players of all abilities, and on the 5th we will be running an afternoon of introductory and friendly games, ideal if you are interested in SAGA and want to find out what it’s all about. For more experienced players, the main tournament will take place over the weekend, with prizes on offer to each day’s victorious warlords. 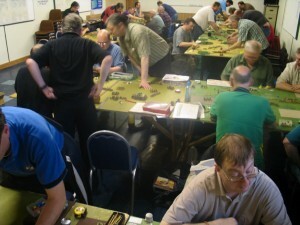 Rules for the tournament can be found here: http://www.bhgs.org.uk/the-challenge—saga.html. Friday will also be an opportunity to play in multiplayer games based on the two multiplayer scenarios (so if you come for the entire weekend, you will have the opportunity to play every official SAGA scenario in existence!). And on the Saturday evening in the ‘Free for all’ there will be new scenarios to play and a brand new variant of the SAGA rules we have been developing especially for this event! If you would like to register, please go to http://www.bhgs.org.uk/the-challenge. Once again, we will be attending the fantastic Battlegroup North – a two day extravaganza of Historic Military Vehicles, Wargaming and Living History re-enactors – at the Yorkshire Air Museum, Elvington near York. The show has been running for many years and features some excellent wargames (both display and participation), wonderfully restored military vehicles & re-enactors “from the 40s”. In previous years, there have been two 25pdr field guns firing, a fly-past by the Battle of Britain Memorial Flight and even Captain Mainwearing & Privates Fraser & Pike have put in an appearance! 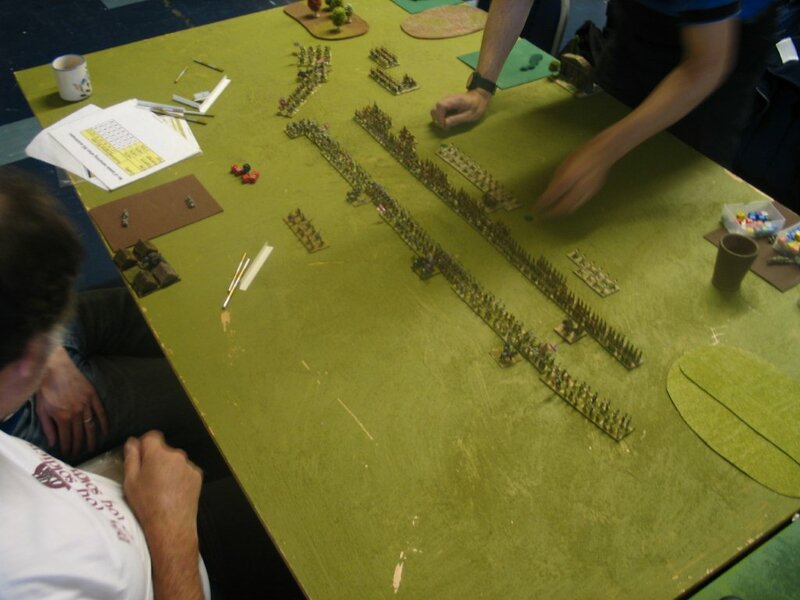 We’re not sure, yet, whether they’ll all be happening this year, but as Ian Richardson & the team from the YAM are planning for a “Bigger & better” Battlegroup North show than last year, we’re very hopeful! Our game (with our friends from the Mailed Fist Wargames Group) will focus on the Dambuster’s Raid (as it will be the 70th anniversary of this during the following week) , but with a twist… what if the Germans had found out about the raid? what would have happened if they’d sent in paratroopers & gliders to sabotage 617 Squadron before it was even airborne? Come and have a go at the game & find out! Our venue has been chosen to be one of the Polling Stations for Hyde Godley Ward; we are incredibly proud to be able to help with this important process in Local Democracy. On November 15th, 2012, for the first time, you will be able to vote for your local police and crime commissioner (PCC). This is a new role and the job of the PCC will be to oversee the police and ensure they prioritise what matters to you. Each candidate may have different ideas, skills and experience to bring to the role. Information on who to vote for and how they propose to make a difference will be available on this site from October 26th, 2012. These are important roles so ensure you choose the candidate that will tackle the issues you care about. The PCC will not ‘run’ the police force. Chief constables will continue to be responsible for the day-to-day operations of the police force, but they will be accountable to the public via PCCs. If you are registered to vote, and eligible to vote, you can either vote in person at a polling station, by post, or by proxy (allowing someone you trust to vote on your behalf). In this election you can vote for a first and second preference of who you want to win. It would appear that an excellent time was had by all at the re-arranged Round 4 of the Northern DBM League at our venue, yesterday. 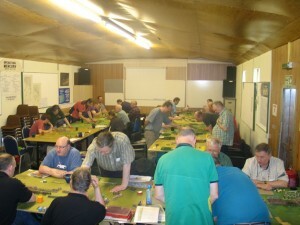 Over 30 competitors attended for some fast & furious dice-rolling filling the room nicely. I only managed to call in briefly, mid-morning, but everyone seemed to be having a good time! Northern DBM gamers at play! Following a treble booking at their previously arranged venue, the Northern DBM League needed a quick switch of venue. As one of the organisers – Colin Betts – is also one of the members of East Manchester Historical Games, it was a simple matter of booking the room and the switch took place. Colin has been planning to run an event at the EMHG venue for a while, but we’ve been waiting until the refurbishment is complete before arranging this to happen. Army list to Colin, Dave or Geoff by the 16/08/12.